This week began with sad news for horror fans: Wes Craven, the director of such classics as The Hills Have Eyes, A Nightmare on Elm Street and Scream, had finally succumbed to his struggle with brain cancer aged 76. He’ll likely be remembered as the man who gave us Freddy Krueger, but it’s many of his lesser known works that I’ll return to. Films such as The Serpent and the Rainbow, a semi-serious look at voodoo magic and real-life zombies on the island of Haiti, or The People Under The Stairs, a genuinely bonkers genre mash-up – a hip-hop heist horror comedy starring Everett McGill (Twin Peaks) in a gimp suit. They don’t make them like that anymore. There’s nothing nearly as interesting as those films at cinemas this week. 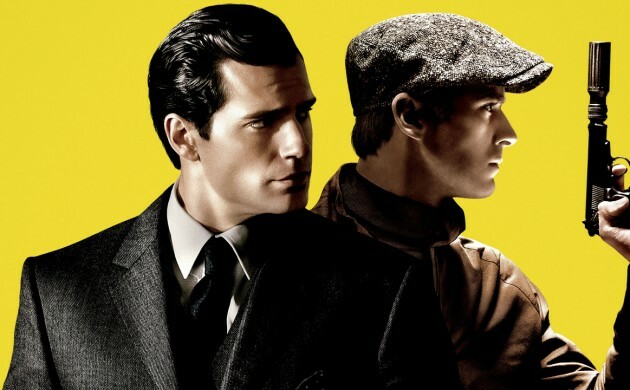 First up is Guy Ritchie’s first foray into the spy genre, which reimagines a classic TV series with The Man From UNCLE. See this week’s review. While Ricki and the Flash, which initially looks like yet another remake of Freaky Friday and features a predictably brilliant Meryl Streep, is a mediocre dramedy about an ageing rocker trying to rebuild the family she once abandoned. As if the posters for No Escape, featuring Pierce Brosnan and Owen Wilson vogueing with handguns as though the 1980s never happened, weren’t enough to put you off, then perhaps an aggregate score of 38 on Metacritic will do the job. We Are Your Friends is Max Joseph’s poorly received youth film about a DJ (Zac Efron) seeking fame and fortune in LA. And finally there’s The Visit, a documentary that examines our potential course of action in the event of making first contact with an alien race. Sticking with that theme, this Wednesday (Sep 9) is your last chance to see Stanley Kubrick’s seminal 2001: A Space Odyssey at Cinemateket, where you can also see the disturbing Cold War comedy Atomic Cafe (Sep 3 at 16:45) and Mori Masaki’s post-apocalyptic animation Barefoot Gen (Sep 4 at 19:15) in the series A-Bomben 70 år Senere. See dfi.dk/Filmhuset.